No city is more deeply imbedded in America’s musical DNA than New Orleans. Musical heritage hangs palpably over the city like a sticky August day in the French Quarter. Its storied streets are filled with memories of America’s most celebrated musicians. The city has played an essential role in the evolution of every major genre of America music. Within that legacy are masters of every conceivable style and virtuosos of every imaginable instrument. But if one instrument could be said to stand supreme in the Big Easy sound, it is the piano. Fats Domino played his piano in the same rich New Orleans patois as his vocals. Professor Longhair’s New Orleans boogie-woogie and blues has influenced three generations of American pianists. Dr. John still delights crowds around the world with his explosive playing. A few notes of keyboard work by these artists immediately conjures to mind images of New Orleans and its “good times” image. Today, that legacy is carried forward by iconic roots musician Armand St. Martin. The tenth-generation New Orleans resident’s frenetic keyboard-driven brand of New Orleans rock and roll is intended not only to deliver dizzyingly good music but to celebrate and promote the sound and identity of his native city. I first had the opportunity to witness St. Martin in action at the 2010 Ponderosa Stomp festival, backing Louisiana rockabilly legend Jay Chevalier. I was awestruck by St. Martin’s blistering, high-energy and beautiful keyboard work, watching as his hands moved so rapidly they appeared to dissolve into a pink blur over the keyboard. Playing as many as 250 live shows each year, St. Martin entertains his fellow New Orleans residents and Louisianans with the sounds and stories of their homeland. Elsewhere, his performances have earned him a reputation as an ambassador for one of the world’s great musical cities and states. St. Martin’s early life is in contrast to the archetypical origin story of a New Orleans master musician. His family was medical, not musical. St. Martin’s father was a highly regarded New Orleans physician, his mother was a biologist and his older brother is also a doctor. It was expected that St. Martin would eventually go to medical school and become the latest addition to the family’s list of physicians. From the first stirrings of his interest in music, St. Martin had a special eye and ear for the piano. “It always fascinated me,” he says. When he was eight, St. Martin asked his parents if he could take piano lessons. They said no, and St. Martin had to be content experimenting when and where he could. A childhood friend down the street had a piano, and St. Martin plunked on that piano whenever the opportunity arose. If St. Martin’s first musical love was the piano, he has always had a fondness for the guitar as well. 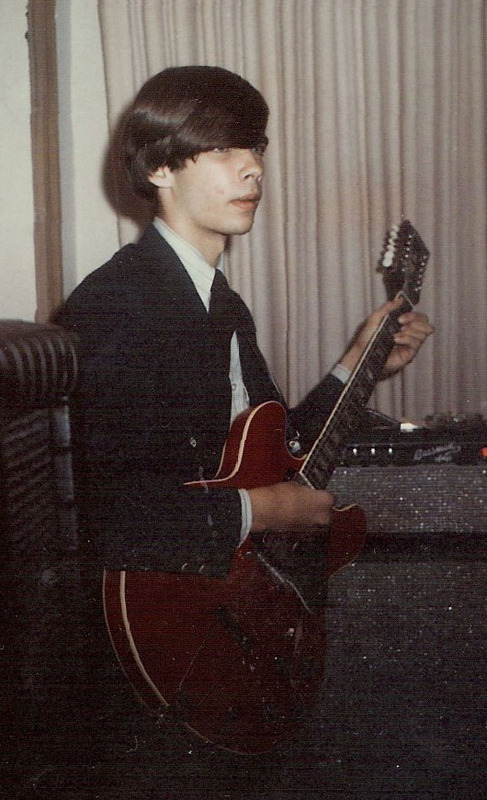 “I grew up in the age of The Beatles and guitar was where it was it at,” he explains. At the age of 13, St. Martin got an acoustic guitar and would practice constantly with a book of American folksongs borrowed from his sister. Soon, however, St. Martin wanted to make the transition to electric. St. Martin playing his Gibson ES 335-12 at a New Orleans house party, circa 1966. Around 15 years of age, St. Martin began playing professionally several nights a week with bands in New Orleans. Many of his gigs were at nightclubs and bars but, already more than six feet tall, St. Martin had no trouble getting into these establishments. It didn’t take him long to realize that this was what he wanted to do with his life. “It was a real ‘a-ha’ moment, I knew this is what I loved.” New Orleans was a unique place for a young musician to come of age. In addition to the influence of groups receiving national airplay, such as The Beatles and Wilson Pickett, St. Martin was surrounded by the songs and sounds of distinctively New Orleans artists such as Ernie K-Doe. As St. Martin continued playing professionally, he honed his skills and sound both through practice and by soaking up the musical legacy that surrounded him. Among the musicians that impressed and influenced the young St. Martin were a veritable constellation of Crescent City legends, R&B virtuoso James Booker, blues and jazz singer Cousin Joe, blues piano player Roosevelt Sykes, R&B musician composer and musician Allen Toussaint and, of course, New Orleans’ most iconic musician Fats Domino. But, when discussing St. Martin’s musical influences and early career, one figure looms above all others: Henry Roeland Byrd, known to the world as Professor Longhair. The colorful, archetypical New Orleans blues singer and pianist, with his distinctive boogie-woogie style, Longhair was a key influence on St. Martin. “I saw him perform many times at venues and private homes.” He became an inspiration for the young musician. 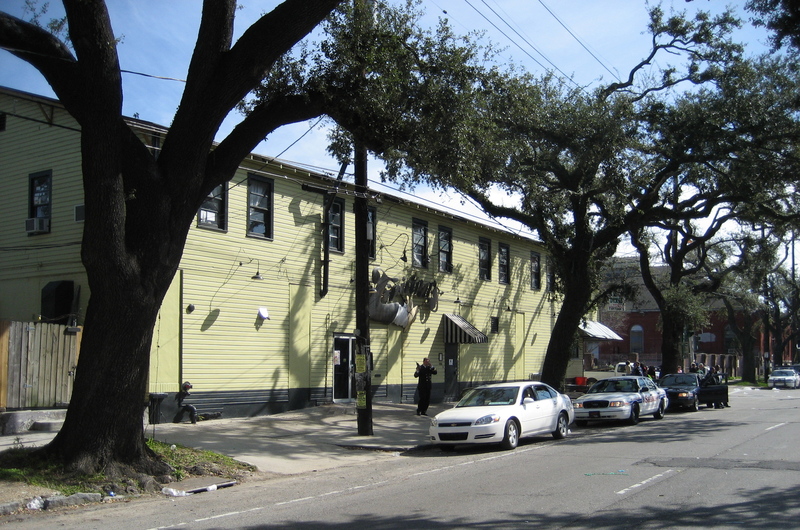 St. Martin and Longhair were both regulars at iconic New Orleans venue Tipitina’s, where the former was performing on the last night of the latter’s life. Through his ongoing exposure to Professor Longhair, St. Martin also developed an interest in Meade Lux Lewis and other seminal boogie-woogie pianists. He has also been drawn to jazz and experimental jazz, forms of music highly popular in St. Martin’s formative years in the 1970s. He has particularly high praise for John Coltrane, especially his cover of “My Favorite Things.” “I really think that record was world changing,” St. Martin says. The classic blue-eyed soul horn bands also represent another important influence on the eclectic St. Martin. 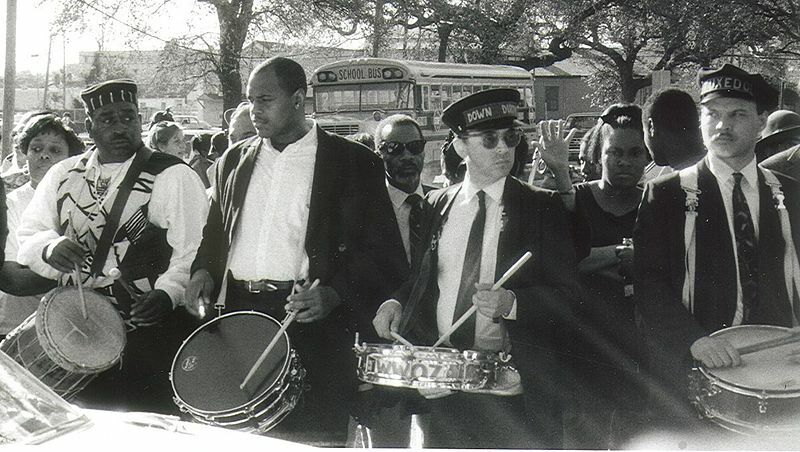 In the early 70s, St. Martin became part of an informal collection of musicians, artists and other New Orleans residents who were to have a profound impact on the city’s music, the Krewe of Alligator. “This was a Mardi Gras Krewe made up of a loose group of fun loving people,” St. Martin explains. The first Alligator Ball was held during Mardi Gras 1973 and featured Professor Longhair and The Meters. The Krewe made its Alligator Ball an annual musical event, with St. Martin one of its performers. Throughout the 70s, their activities expanded until, in addition this Mardi Gras event, they were putting on one or two other parties celebrating the music of New Orleans each year. By 1976, the group had become interested in taking over a location to serve as a permanent musical venue and focus for their activities. About fourteen members of the group took the lead on the project and agreed to become partners in the venture. St. Martin was with the group but ultimately declined to become a partner, believing his talents would best serve the project by performing at the new venue rather than serving as part of its management. At first known simply as the “501 Club” (a reference to its location at 501 Napoleon Avenue), it was soon rechristened “Tipitina’s” after a well-known Professor Longhair song. St. Martin says, however, there is a back story behind the name that even many Crescent City music cognoscenti may not know, “We knew we needed something other that just ‘The 501 Club,’ but nobody knew what to name the place. We were having a meeting about that and, that day in the mail, the krewe had received a postcard addressed simply to ‘Tipitina’s.’” To this day, no one knows, or will admit to knowing, who sent that fateful postcard. But the rest, as they say, is history. St. Martin believes that, from the beginning, there was something that set Tipitina’s apart from most other New Orleans venues. “Most of the other bars and nightclubs were opened to sell a lot of liquor,” he explains. “There was music. But the music was really just a way to get people in to buy liquor.” The focus at Tipitina’s, however, was always on the music. “Our mission was to promote music, a really high-minded approach and that’s why it became such an institution. If they became fascinated with an artist or band they would back it for better or for worse. People accepted whatever was going on there. It was a real scene to be in,” St. Martin says. Indeed, Tipitina’s quickly became, and remains, one of New Orleans’ most celebrated venues and a mandatory stop for any serious music aficionado visiting the Big Easy. “The early days of it were crucial to promoting and enhancing what is New Orleans music,” St. Martin explains. The club became famous for its atmosphere and for the steady stream of local, regional, national and international acts gracing its stage — including, on many nights, the club’s spiritual and artistic godfather, Professor Longhair himself. Beyond his role in the genesis of Tipitina’s, St. Martin played frequently at the club, helping to further cement the up and coming musician as part of the city’s musical firmament. From the late ‘70s until mid-1981, St. Martin was playing piano and sax with a band called Satisfaction. One of the outfit’s significant draws was St. Martin’s ability to play the sax with one hand and the piano with the other. Satisfaction was based out of Tipitina’s and served as the club’s informal house band. At the time, the upstairs of the club was divided into five studio apartments, with members of Satisfaction renting three of them. 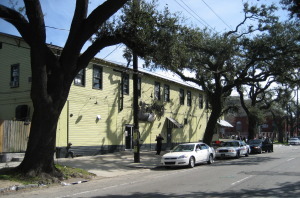 A fourth apartment then served as the broadcast studio of celebrated NOLA jazz and roots radio station WWOZ. In addition to gigging at Tipitina’s, Satisfaction opened for the Neville Brothers and other well known New Orleans acts. The band also toured regionally, including the tour circuit through Texas, playing venues in Austin, Dallas, and Houston as well as off the beaten path juke joints and honky-tonks in places like Port Aransas, Port Isabel and Nacogdoches. It was during one of their swings through the Lone Star State, that the idea for one of St. Martin’s best known songs, “Last Time in Texas,” was born. “We were playing a two-week gig at a bar and restaurant in Port Isabel. One night, we were having one rocking good time and the tweeter on my Leslie speaker totally went out,” St. Martin explains. Port Isabel, one of the southernmost points in the US, is less than ten miles from the border with Mexico and is a long way from anywhere. The nearest city where a replacement part could be obtained was McAllen, Texas, an hour’s drive away. The club owner drove St. Martin to McAllen in his pickup truck to get the new tweeter. On the way, St. Martin noticed the club owner was wearing white tennis shoes, not cowboy boots. Thus was born the idea for “Last Time in Texas,” an up-tempo number telling the story of a young man wearing tennis shoes and courting a girl from Texas who tells him, “Don’t come back until you get some cowboy boots.” As a nod to the song’s setting and the incident that inspired it, “Last Time in Texas” has more than a hint of Texas Blues swing to it. Forward to Part II: St. Martin’s fateful relocation to California, an encounter with Andy Warhol, discovering his calling as a musical ambassador for Louisiana, the campaign to make Mardi Gras a national holiday and St. Martin discusses his sound and songs. This is an amazing series and you are an incredible writer, Jon Black! You captured facts, as well as the essence of Armand St. Martin’s musical background while growing up in the legendary musical scene that permeates life in New Orleans. What a thrill to read your article and to know there are two more installments to also look forward to, about Armand St. Martin’s career, with lots of interesting first-hand personal quotes. You are a gifted and talented writer, an astute journalist, a noted, well-read music critic, and a seasoned reviewer. Job well done on launching your brand new series featuring multi-talented musicians/performers of worth. Armand St. Martin was an ideal first choice!